I want to share with you my first week of therapy. It might have some interest to your other readers and in a way it is a little therapy for me in writing it. I am 44 years old, and have been suffering from SAD since my teen age years. I really didn't realize what I had until I saw the medication commercials. I went to my doctor, in which he prescribed medicine for me. I took it about 10 days and realized it wasn't for me. It made me even worse and really didn't want to be on a drug. So I decided to quit it. I started to investigate SAD over the Internet and that's when I found your site. On December 14, I received the audio therapy tape series in the mail and began to listen to it right away. As days went on I felt encouraged and even happy that I finally found something that would help me change my life. I am a logical and analytical person and it really makes sense that one needs to reprogram the brain away from the old gutter negative thinking habits that has been lodge like a dagger in the brain for years. On December 20, approximately 6 days of therapy, I received a call about 8 PM from my 84 year old mother telling me that my 80 year old father was laying on the couch watching TV and tried do get up and couldn't. I went over to their house immediately. When I arrived, I noticed that he was paralyzed on his left side. He apparently had a stroke. I proceeded to call 911. The paramedics took him to the a heart hospital. Shortly thereafter my mother and I arrived. The attending physician asked us if they would be allowed to give him a medicine to thin the blood and to prevent him from having any further clots from forming thus preventing him from having another stroke. They also mentioned that this medicine had possible risks involved which could lead to internal bleeding anywhere in the body. The chances of this happening was 6 to 7%. We gave them our consent! They administered the medicine and he began to dose off. About 12 midnight they wanted to transfer him to the neurological sciences department of another hospital. My mother and I were exhausted by the ordeal, so we gave the nurse our phone number to call us at home if anything develops. I tried to get some sleep but I was so very worried and my anxiety was awful. About 3 AM on December 21, the phone rang. On the other line a doctor had told me that my fathers condition had turned for the worse. The CAT scan had detected a very large amount of blood in the brain. It would be a good idea to come down. I then proceeded to go to the restroom to throw up. Upon arriving to the hospital we meet the doctor in charge. He asked us how we felt and how my father would have felt about prolonging his life. To help him at this point, it involved drilling his skull to get to the problem. I told him that, my father had expressed his opinion to me in the past and that he did not want anyone to prolong his life in circumstances like this unless he could recover to a healthily and productive life. At this point it seemed that that would never happen so we had no choice but to watch him die. The doctor asked me if we wanted to call our priest. I said yes. The doctor said he would call him for us. He did and shortly about 4 AM the priest arrived and he blessed my dying father and we all prayed. After the priest had left, the nurse told us it would be a good idea to go home and that she would call us when there were further developments. So we went home. At home, I tried to rest but my stomach was in knots and I couldn't. About 9:00 am we received a call from the hospital. They said to come down right away. He was declining fast. When we arrived at the hospital at about 9:30, he had already pasted away. We saw his body and it was very devastating for us. I am going to be all right. My feelings are not always rational. I just need to relax and calm down. Everything is going to be OK.
And the other one was.... I am having some anxious feelings about this event. These anxious feelings are like a mirage in the desert. I will continue to walk forward until I pass right through it. At times they did seem to help. I realized it was still to early in my therapy for them to have their full benefit. My biggest ANT was...." I can't go through the process of this funeral. I might feel faint at the church or maybe get sick and want to throw up and be humiliated. Everyone would think I am weak and not a very strong person for my mother." When I had that ANT I said the "Wait a minute statement" and sang the song Jingle Bells. The night before the funeral I fantasized in my mind, between short little naps, what would take place at the funeral. Another words, I went to the funeral about 20 times before I even really got there. I was exhausted. When I got up from bed I walked like I was drunk. Just before leaving my home for the funeral, I had to take a valium. I felt a little better. I finally attended the funeral and was relieved it was finally over. I then realized that I blew everything way out of proportion. The funeral went well. There was a lot of loving relatives and friends that gave us their compassion and sympathy. I was really relieved. The funeral was finally over and I finally got a good nights sleep. I decided listened to tape lesson # 3. Your basic message is that these ants are destructive, corruptive and poison and they will do basically anything to belittle you any way they can. I realize that is exactly what they did! I realize now, after this traumatic event in my life, that I am not going to let this happen to me again and I that am going to give your therapy lessons PRIORITY IN MY LIFE! I know that someday I WILL GET BETTER! I DESERVE IT AND AM WORTHY OF IT. The Social Anxiety Institute is the only treatment center in the world that specializes solely in the treatment of social anxiety. Dr. Thomas A. Richards currently runs all our treatment programs and is a leading clinical authority on the treatment of social anxiety disorder. Dr. Richards began seeing patients with social anxiety in the early 1990s and has seen thousands of patients since that time. 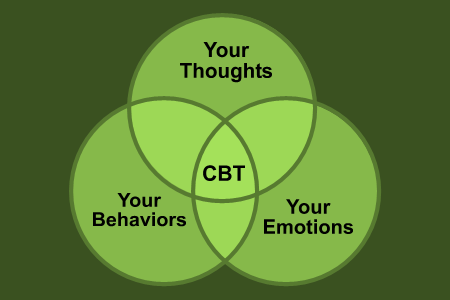 The first CBT therapy group for social anxiety started in 1994. International therapy groups began in 1998. Our emphasis is on treatment of social anxiety disorder (i.e., how do you get over it?) Our CBT therapy programs allow people to overcome social anxiety. Cognitive behavioral therapy for social anxiety disorder must be comprehensive and cover all aspects of social anxiety. Our groups are active, structured groups that work on anti-anxiety strategies on a daily, consistent basis. Cognitive therapy includes strategies to learn how to think and believe differently about ourselves. 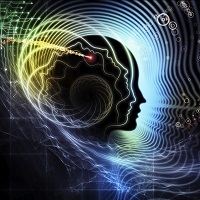 Behavioral therapy puts the cognitive strategies into place in your daily life. 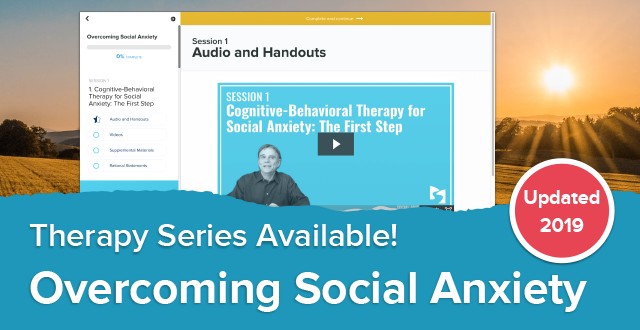 What is the Social Anxiety Institute? ©2019 Social Anxiety Institute. Thomas A. Richards, Ph.D., Psychologist.